When someone visits your site, are they experiencing it how you would want them to experience it? Or are they experiencing it in a completely different way? It might sound like a simple pair of questions. But it’s the difference between a full-functioning website and one that’s only functioning half the time. According to some statistics, mobile internet surfing eclipsed desktop surfing at some point in 2014. What does that mean for you and your business? It means that your website—as you view it on desktop—is being viewed an entirely different way if someone is visiting it on mobile. If you’re going to have a successful web presence, your site needs to be mobile-responsive. If you’re in the mortgage business, then you know how important it is to capture the attention of potential leads at the right time. For example, consider what people thinking about a mortgage are doing. Are they thinking about mortgages right away in the morning, or on their lunch break? Or are they sitting down with their loved one and talking about it over the dinner table? The dinner table is much more likely. As it turns out, as the day goes on, people are more likely to browse the internet with tablets and smart phones. That means those people sitting around the dinner table stand a good chance of first seeing your website when on their phone (hopefully at the END of the meal) . Don’t you want to capture that kind of attention? You have to create a website that’s fully mobile responsive if you want to attract potential leads at the most opportune times. That means focusing on mobile if your website is going to stand a chance against the competition. Let’s go back to the introduction. What’s the central problem of having a website not designed for mobile interaction? As a mortgage professional, it’s your job to control your brand and ensure that potential leads see everything they need to put their trust in you. That includes just about every element you might put on a website—the newsletter opt-ins, the call-to-action buttons, etc. When you put that much work into your web presence, it only makes sense that you wouldn’t want to toss out the other half of the user experience simply because you haven’t optimized for mobile responsiveness yet. The good news is that in this day and age, mobile responsiveness is much easier than you might imagine. It’s not difficult to put together a full, professional web presence that can respond to mobile platforms with ease. But it does require that you put some time into it. Having some control over what your end-user experiences on your site isn’t just about the control itself. Instead, it’s about participating in the experience with the user. It’s about hitting all the right notes so that you put your best foot forward. In the statistics quoted earlier, it was found that as far back as 2015, some 51% of user experience was now on mobile. That means that if your site isn’t mobile-responsive, the majority of your users aren’t getting the experience you were hoping for. It has to function properly. That means your visitors must be able to click on something on your site and expect that it will respond. Your site should be easy to scroll through. Easy to navigate. Easy to read. Highly visible. It should look just as professional as the desktop version, if a little bit simpler. Function is the name of the game on today’s web, because people have so many options. If someone is browsing the web on their mobile device and your site is barely coming through, it’s much easier to simply click out of it and try again with another website. What’s more, your site should be able to handle traffic. It should be responsive in that it can handle it when you have more visitors than usual—desktop or not. If you want to make sure that you have a fully-functioning mobile site, be sure to try out our free mobile testing tool. Is someone unqualified simply because they came across your website on their phone? Of course not. Even highly qualified potential clients and leads can come across your website in a number of different ways. Your mobile site shouldn’t only be responsive, but it should be able to serve as the same kind of sales funnel you enjoy on the desktop version of your site. After all, if more than 50% of your visitors are coming through mobile, doesn’t it only make sense to capture that segment of your visiting audience? As a mortgage professional and marketer, you have to cast a wide net in finding potential leads. But this isn’t just about casting a wide net. It’s about not getting in your own way. Loan officers and mortgage brokers need to make use of every avenue of marketing that’s available to them. Having a fully mobile-responsive site isn’t about branching out in a new direction, but rather taking advantage of something that’s already there. The power of mobile-responsiveness is that you take traffic already coming your way, and then include it in the sales funnel you’ve already established. That means you don’t have to create an entirely new system—you only have to focus on making a mobile-responsive version so you can continue doing what works. Let’s face it: your website already has a mobile side to it anyway. Even if you haven’t taken the time to build it, people can visit your site by browsing on their phone. You wouldn’t ignore one half of your office when clients come in to meet with you. You would want the entire office to look as good as possible, right? The same is true of your website. It shouldn’t just be effective from one medium. It should look good and reflect your professional brand no matter what a potential client might be using to browse the internet. That professionalism reflects well on you—and becomes an inherent trust marker. After all, if your company has taken the time to become fully mobile-responsive, potential clients know that you’re on top of things. You can accomplish all of this and more when you decide to take control of your web presence, rather than letting it grow outdated. That’s why I recommend a free trial of leadPops. 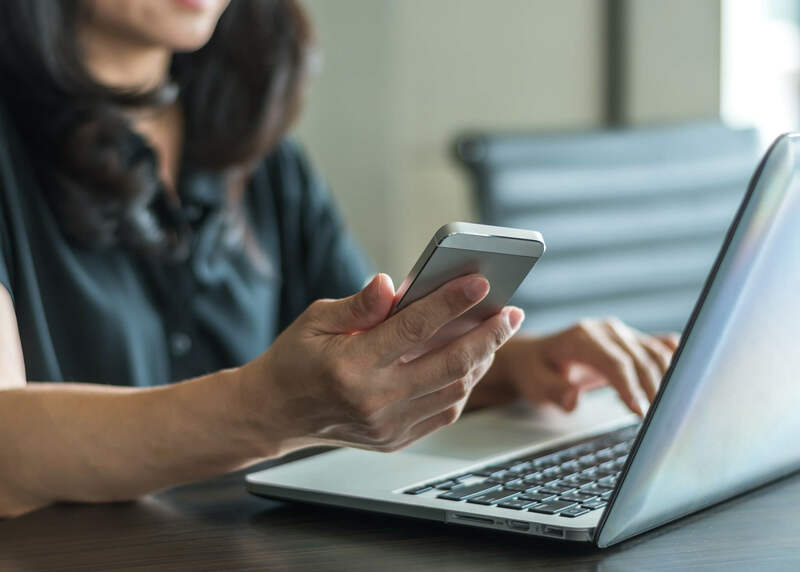 Not only will you have the tools at your disposal to create an effective web presence for mortgage marketing, but you’ll take a step forward toward the mobile responsiveness you need to compete in today’s digital environment.